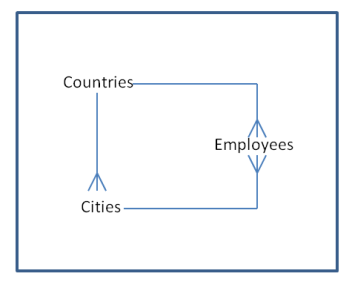 When you create a copy or import button, you specify the master table in which the new Formula -URL field appears, and decide whether all or a subset of detail records are copied, and whether Quick Base should recursively copy all detail records. You also specify the text that appears on the button; make sure you use descriptive text so that users understand what will happen when they click the button. Open the application that you want to work with, click SETTINGS, then click App management. Click the Copy master & detail records link. Before you create a copy or import button, it's helpful to understand how the button appears on your forms and what happens when a user clicks it. In this example, a Copy this record button has been added to a form, shown below. When a user clicks the Copy this record button, a confirmation message opens. The user clicks Go to record on the confirmation message, and the form for the new record opens, as shown below. The name of the new record is prefaced with "Copy of" and the copied detail records have the icon, if your app displays it. In this example, an import button has been added to a Project form, shown below. When a user clicks the Import detail records button, a confirmation message opens, indicating how many records were created. The user clicks Go to Project on the confirmation message, and can see that project's details list now contains seven imported detail records. The master table must contain a Report Link field as part of the relationship with each details table. If the report link field does not exist for a relationship with a details table, detail records for that table are not copied. The application user must have permission to view the report link fields. To confirm that the report link field exists, view the relationship and check that the master table has a report link field whose target field is the reference field listed under the details table. Quick Base will not copy or import any records if any of the records to be copied or imported contain unique fields, such as custom key fields. The key field for each table from which records will be copied or imported must be Record ID#. Quick Base does not copy or import file attachments. Quick Base copies or imports up to ten levels of detail records. If you try to copy more than ten levels, Quick Base won't copy any records. If you have more than ten levels, you can use the Advanced Options settings in Copy Master and Detail Records to specify which relationships to copy or import and disable recursion, reducing the number of levels copied. If you receive a looping error, you can use the Advanced Options settings in Copy Master and Detail Records to specify which relationships to copy or import and disable recursion, reducing the number of levels copied. If the original detail records map to each other as predecessors, Quick Base duplicates this predecessor relationship when the records are copied. 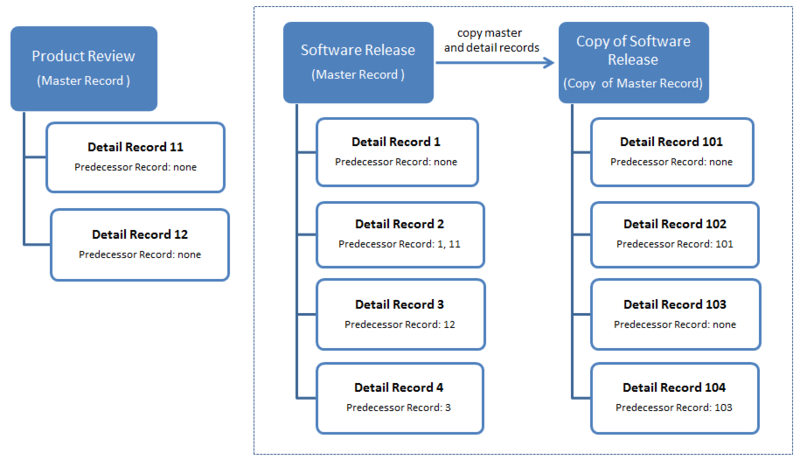 If the original detail records map to predecessors that belong to a different master record, Quick Base cannot map the predecessor relationship because there is no corresponding copy of those detail records. If the original detail record maps to predecessor records that fall into both of these categories, Quick Base maps those predecessors that it can. 2 has predecessor 1 and 11. When the records are copied, Quick Base sets the predecessor field for record 102 to 101, and ignores predecessor 11. 3 has predecessor 12. When the records are copied, Quick Base leaves the predecessor field for record 103 blank. 4 has predecessor 3. When the records are copied, Quick Base sets the predecessor field for record 104 to 103.